On Friday I mentioned that I've been taking Benadryl like crazy the past few days because I have been broken out in very itchy hives. It turns out I've been having an allergic reaction a medication I'm taking and as an old pro (I'm allergic to so many things) I'm really good at dealing with hives. This got me thinking that with the season change allergies will be in full force and in just a few short months it will be cold, which brings a whole host of things that can irritate skin and cause it to become itchy. 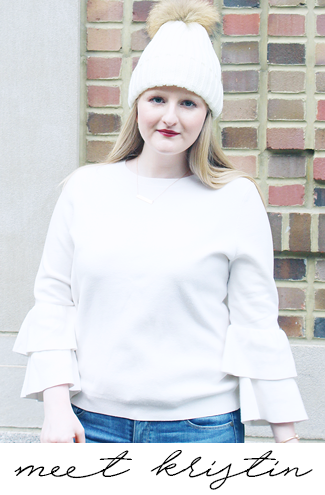 So today I'm sharing with you my surefire tips to get rid of that itch, which will hopefully be a help to you in weeks to come as the temperatures start to drop! 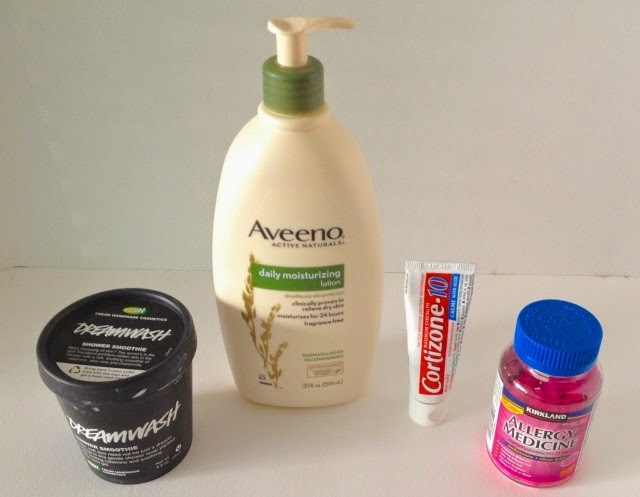 There are four products I turn to when I can't stop scratching and all of them except 1 can be brought at your local drugstore: Aveeno Daily Moisturizing Lotion, Cortizone Maximum Strength Creme with Healing Aloe, Benadryl, and Lush Dreamwash Shower Smoothie. I use Costco brand Benadryl (which I know isn't technically called Benadryl) because I am allergic to an ingredient in Benadryl brand and yes I'm allergic to everything, so really any medication like this should help; for everything else I recommend buying these exact products if you can. At the end of your shower apply the Lush Dreamwash to your body, let sit for at least 30 seconds - to get the full benefits from the ingredients like calamine and chamomile, and wash off. After showering apply the Aveeno Lotion liberally over your entire body; you can apply this all over several times a day if needed (at most I will usually do it twice a day). When my skin is really itchy, especially from an allergic reaction or another allergy, I take Benadryl every 4-6 hours depending on how often I remember. I know Benadryl makes a lot of people tired so if you are one of those people take it at night or when you know you can take a nap. (Make sure to read the bottle for Benadryl and speak with your doctor if you are taking any other medications.) I apply the Cortisone cream on really itchy and irritated areas, you can only put this on small sections of skin so make sure not to put it on your whole body at once. -Limit showering to once every other day, as the hot water of the shower will dry your skin out, which can make it feel more irritated. -Avoid perfume for a few days, as it can make your skin feel worse. Stick to unscented creams (like the Aveeno lotion) and don't spray perfume on yourself. If you want to use something scented use an essential oil like Vanilla and dab it on pulse points. -Soak in a lukewarm bath with Aveeno Active Naturals Soothing Bath Treatment. -Wear loose fitting clothes so your skin has a chance to breathe. -Try not to scratch (this is the one piece of advice I'm terrible at following!). These tips and tricks should help you with skin issues through the all the season changes we have ahead of us! 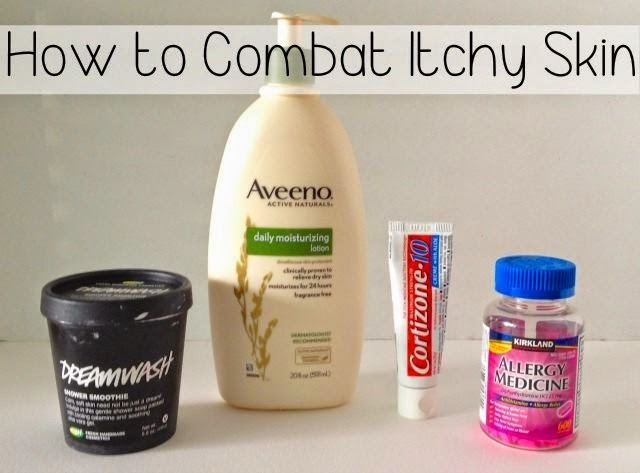 If you use any different products to combat the itch please share below, I would love to hear about them! Today I'm linking up with #HowIFall, Monday Morning Gossip, MIMM, and More Pieces of Me and On the Daily Express. Love Lush products for skincare! I have eczema and love aveeno products! They work awesome! great tips! i love that lotion!